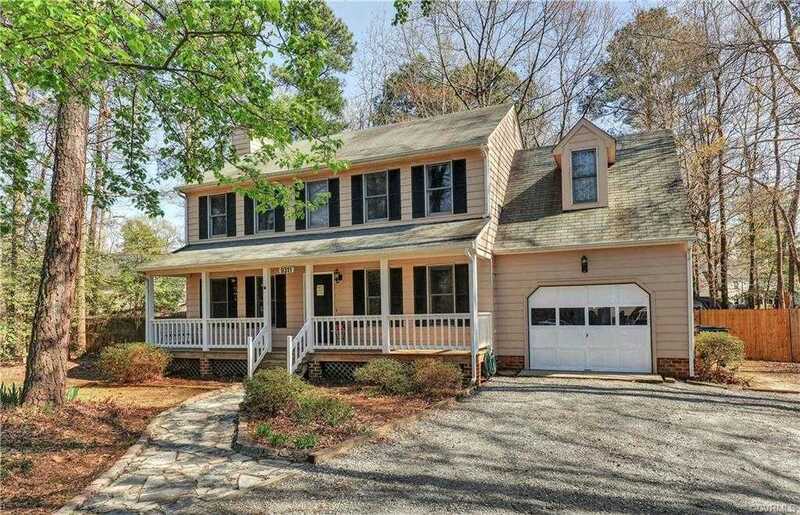 Hard to find 4 Bedroom/2.5 Bath with an attached garage in Atlee Ridge! This home has so much to offer! Easy access to highways, The West End and Downtown – Minutes from Virginia Center Commons and top-rated schools. Quiet cul-de-sac lot – Large wooded, private and fenced back yard – Two-tier back deck – Full front porch – Bright and open eat-in kitchen – Oversized 4th Bedroom or Bonus Space – Large Family Room with wood burning fireplace – Dining room or Office – Low maintenance front yard with expanded driveway. Fireplace, chimney, flues, and shed sold as-is. Please, send me more information on this property: MLS# 1910655 – $274,459 – 9311 Ravensworth Court, Mechanicsville, VA 23116. I would like to schedule a showing appointment for this property: MLS# 1910655 – $274,459 – 9311 Ravensworth Court, Mechanicsville, VA 23116.